On December 6, the Golden State Warriors were in Chicago to take on the Bulls. They were down four early when Klay Thompson used a left-handed dribble to attack the paint from the top of the arc. Joakim Noah cheated off of his man — Draymond Green — to double Thompson and slow his drive. But Thompson was quick to notice; he stopped, spun around, and fired the ball to Green, who was left wide open behind the arc. Noah didn’t seem to care as Green rose up and calmly drained the Warriors’ first bucket of the night. All night long, the Bulls were happy to concede those kinds of shots to Green. 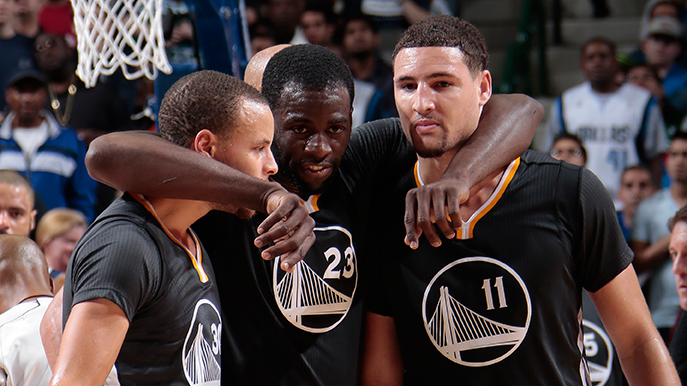 Their main focus was on stopping Thompson and Stephen Curry. This is not an unusual game plan, and as a result, Green sees these kinds of wide-open looks a lot. And as he told me last Thursday, in Oakland, it’s one of the spoils of setting screens for two of the most terrifying shooters in the league. Opponents might not be willing to leave Green open for much longer. You could argue that Green is the “most improved” player in the NBA this year, but that overlooks a bigger truth: Green is always improving, and the only constant in his game has been its perpetual evolution. 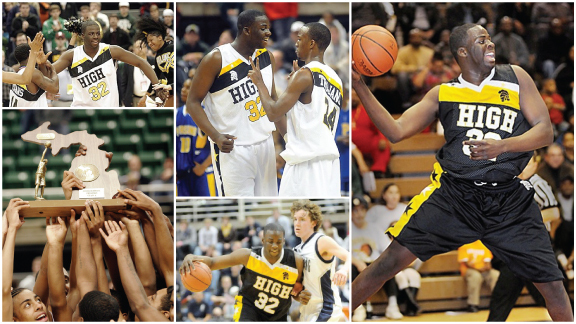 He is the best-case scenario for player development in the NBA, and a deeper look reveals that Draymond Green has been turning corners since his time at Saginaw High. Green led the Saginaw Trojans to two consecutive Michigan High School championships. His game was unusually balanced, and he drew attention from some of the country’s biggest college basketball programs, most notably Kentucky and Michigan State. In the middle of his junior year, Green spurned his local school and committed to play college basketball under Tubby Smith at Kentucky. Green had a tough time in his freshman year at MSU. In an era when college freshmen are often the best players in NCAA basketball, Green was not ready for prime time. He struggled to earn playing time and his contributions were small. Whereas dominating high school ball came relatively naturally to him, in the Big 10, he was just another freshman buried at the end of the bench. Green’s metamorphosis in East Lansing was remarkable. He went from being a relatively forgettable freshman at the end of the bench to one of the team’s most iconic players since Magic Johnson. Like Johnson, he won both Big 10 and national honors and, also like Johnson, he ran the offense as a triple-double threat every night. To date, only three players have recorded at least two triple doubles in the NCAA tournament: Oscar Robertson, Magic Johnson, and Draymond Green. Pretty good for a pudgy power forward from Saginaw. By senior day in March 2012, when it was time to kiss midcourt again, Green was a very different player than he was when he arrived on campus. Despite his dramatic development and all of his individual accolades, unlike Johnson, Green wouldn’t run the table in March, and he wouldn’t be a top pick in the NBA draft. He wasn’t even a first-rounder. The Warriors selected Green with the fifth pick of the second round in the 2012 NBA draft. 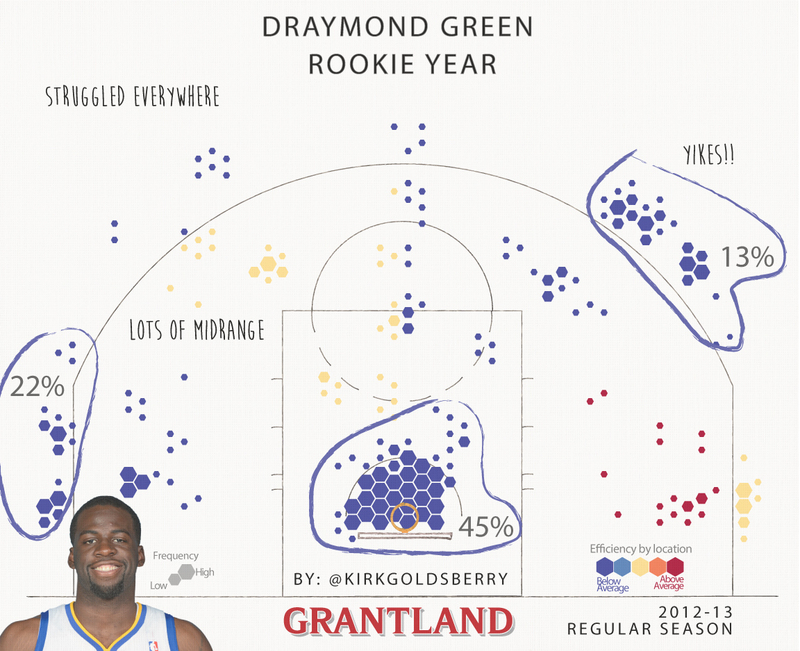 Like his first year at MSU, Green’s rookie campaign at Golden State was far from glorious. He struggled to find his identity and put up dismal offensive numbers. Although he earned a lot of minutes on a decent team, he made less than a third of his field goal attempts, which is downright awful, and a far cry from the kind of efficiency he showcased in college. In the summer after his rookie season, Green says he rededicated himself to conditioning; he dropped 20 pounds between the 2013 playoffs and the beginning of the 2013-14 season. It helped. He played over 20 minutes per game his second season, and his shooting efficiency, while still not great, climbed out of the basement. It’s rare for a player to simultaneously exhibit large increases in minutes, usage, and efficiency, but that’s exactly what Green is doing this year. He has started all 25 games and is setting career marks in just about every category, including minutes, points per game, field goal percentage, rebounds, assists, and blocks. 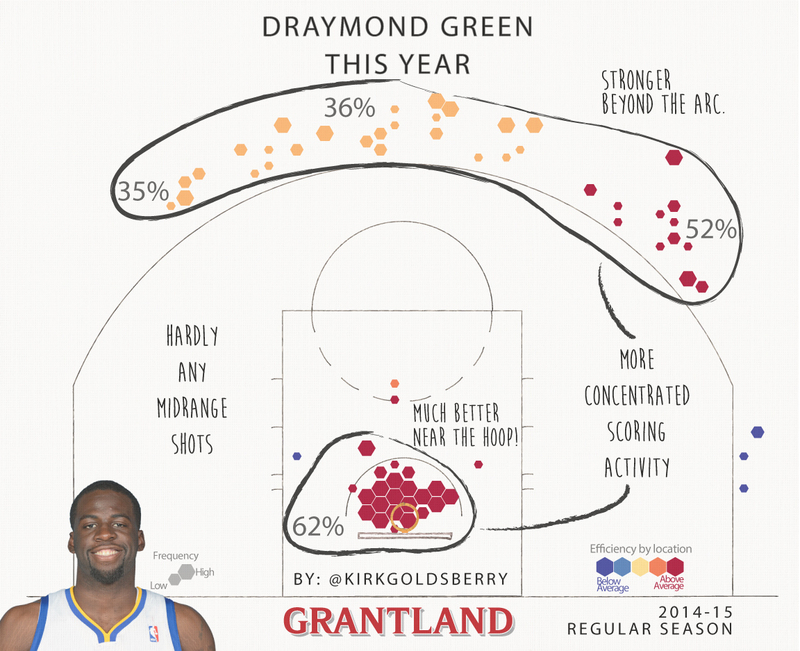 In just his third season, Green has, according to Kerr, become the “heart and soul” of one of the best teams in the NBA. His blend of toughness, leadership, thoughtfulness, and dedication is extremely unique. He’s also one of a decreasing number of players in the league who spent four years in college and earned a college degree. 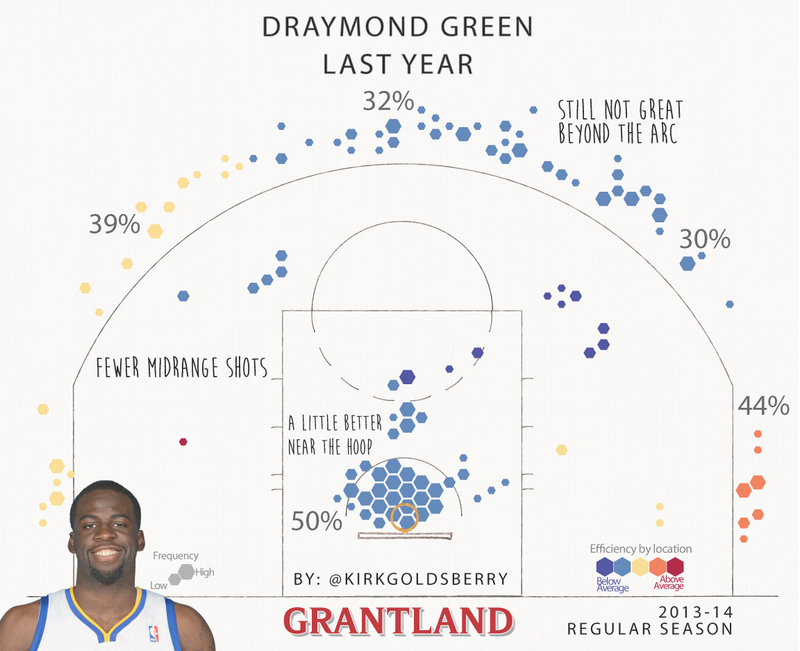 Green may be the “most improved” player in the league thus far, but it’s important to remember that nobody gets to where Green is without years of constant work. Along with guys like Jimmy Butler, Kawhi Leonard, and Anthony Davis, Green is a poster boy for the very idea of player development in the NBA. Underestimate him at your own peril. An Ideological Stalemate: When Will Arsenal Being Arsenal Not Be Good Enough?